For money people can be nudged to become artists, politicians, businessmen and also inventors. Around 30 years ago the American Helicopter Society wanted to improve the field of human-powered helicopters and so offered $20,000 to the first person to successfully fly a human-powered aircraft capable of vertical take off and landing. But that didn’t get much attention. So the Sikorsky Aerospace felt that they had to do something to generate more interest and so Igor I. Sikorsky Human-Powered Helicopter Competition was conceived to offer a bigger amount – $250,000. 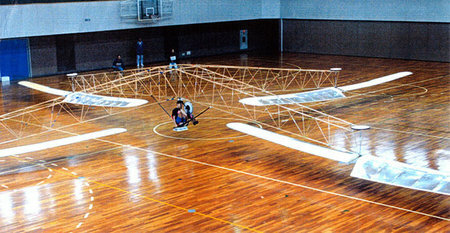 Many entries came in and in 1994 a human powered helicopter flight Yuri I was set by a team from Nihon University in Japan led by Prof. Akira Naito. They still hold the world record for their four-prop aircraft that could hover at an altitude of 0.2 meters for more than 19 seconds. Human powered-helicopters have been on the scenes yet behind for years apparently. One example is Gossamer Condor and Albatross designed by the legendary Paul MacCready that won the first Kremer Prize back in 1977 after successfully flying a figure eight course. 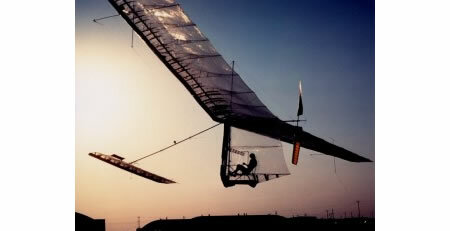 The latter won the second Kremer prize in 1979 when it flew across the English Channel. But no one seems to be coming out nowadays with great ideas. Maybe it isn’t the money, maybe people are still finding it hard to produce the best one ever, the most efficient. Who knows!